The City of Dryden opened the Roy Wilson Suspension Bridge in the Fall of 2009. 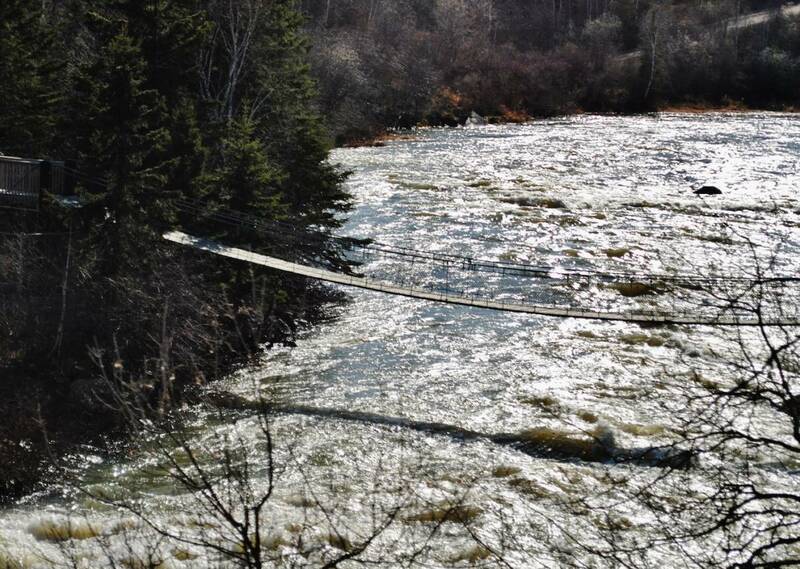 The 34 meter (111.5′) Suspension Bridge is located behind the Chalet Inn on the City’s Trail Network. The public can easily access the bridge by parking at Johnston Park on Highway 17.